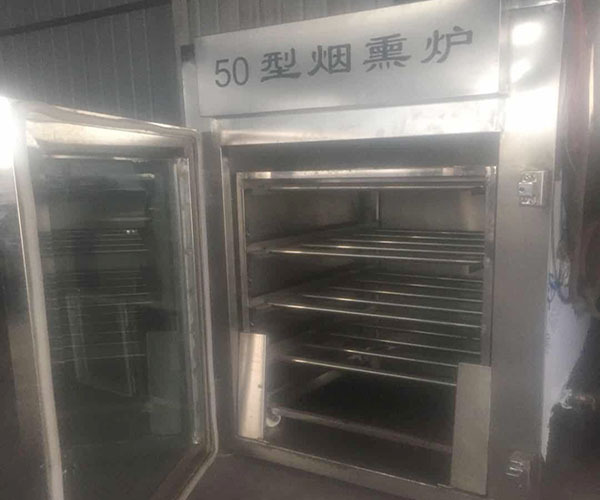 Smoking Oven with advanced technology, sophisticated processing and detection equipment, reliable product quality! 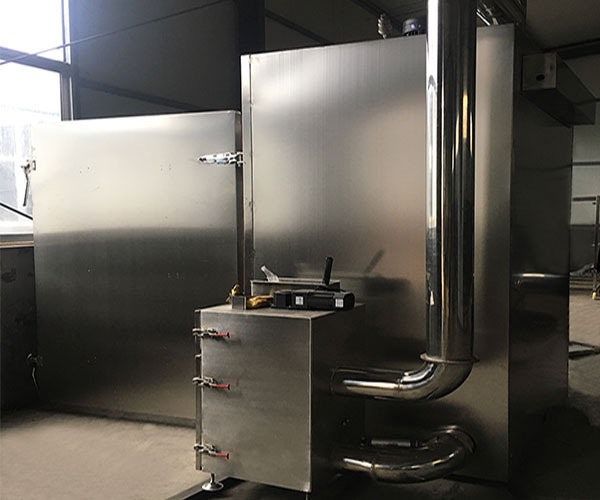 Smoke house for processing chicken,duck,sausage,ham,bacon,fish,beef and various meat products and bean products. Smoke house is with functions of drying,cooking,roasting,smoking and cleaning. 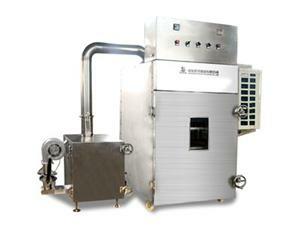 Steam heating system(electric system), Smoke system,Control system. Control system:PLC and Large screen human interface. Smoke system: external woodchip smoke generator. Heating system:external steam heating and electric heating. 10. Sealing plate of the machine:Inside and outside all welded structure, the high quality stainless steel plate, special reinforcement, avoiding board face due to thermal deformation. 1. The whole machine is made of SUS 304 stainless steel. 8. Model of heating,steam heating or electric heating. OsaintGroup has all kinds of smoke machines, Including sausage smoke machine、fish smoking oven and so on.good service and excellent cost performance. Welcome domestic and overseas customers to visit and order!